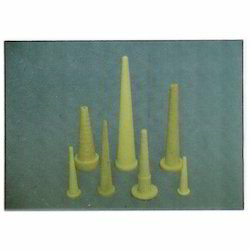 We are a leading Manufacturer of centri cleaner cones from Nagpur, India. Amidst our wide range of industrial products, we are also engaged in offering a wide range of Centricleaner Cones. This product is available in various specifications as per the requirements of customers. Our offered product remains in great demands across the industry due to its excellent quality. We manufacture this product using sophisticated techniques and high quality material in adherence with the set norms of industry. Looking for Industrial Cones ?